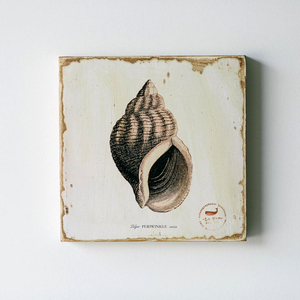 The “Sea Life Art” collection portrays over 100 year old images once used in historical record collecting and teaching. These images have all been tailored from the original vintage illustrations, modified on unique mediums, and given accents to make them one of a kind. The handmade process provides a unique look for each piece and no two images will ever be exactly the same. Each image is 12×12 and displayed on a handmade wood box that is 1.5 inches thick. Handmade wooden box self hangs on your wall.